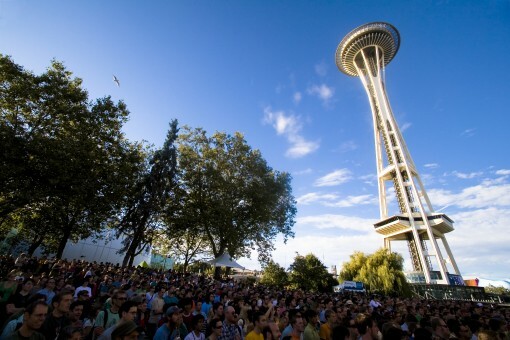 Bumbershoot, Seattle’s Annual Music and Arts Festival starts tomorrow (Aug 30) and continues throughout the Labor Day weekend. Music critic in-residence Drake Lelane will be on the scene in Seattle Center this weekend reporting on all the comings and goings at the festival. Take a look at the (very impressive) partial list of Bumbershoot performers after the jump. Check out the entire mind-blowing lineup over here. I missed Mono in VCF, mostly because they were playing indoors, but also because it was too close to Man Man.